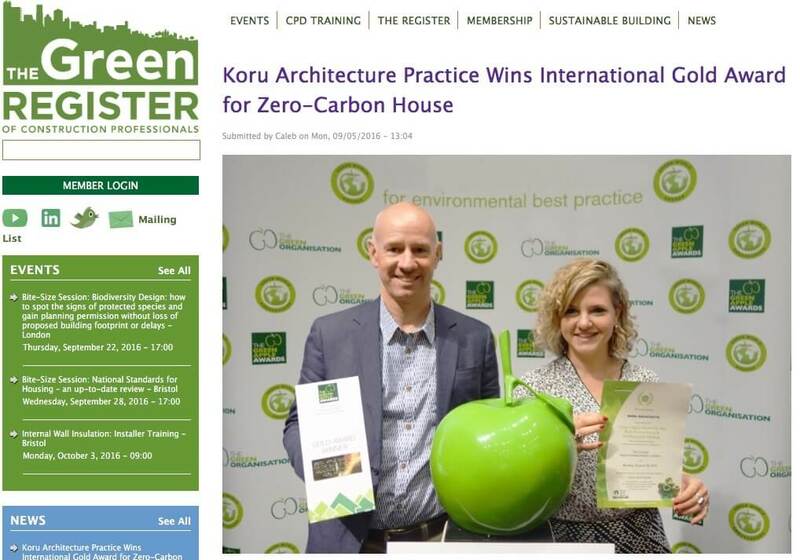 ‘Koru Architecture Practice Wins International Gold Award for Zero-Carbon House’ on Green Register blog, September 2016. Following our Gold Green Apple Award for our zero-carbon house in Hove, the Green Register featured our achievement on their member news blog. They commented: “Everyone here at the Green Register is excited for Koru Architects and is looking forward to seeing what they do next.” We’re honoured to have their support. Screenshot from the Green Register article.